What do you do if you accidentally magic away the king of England? Happily for Jonathan Strange, the answer is not to panic. The first item on his agenda after returning from fortune and glory in France is to visit mad George III. He is accompanied by a reluctant Mr. Norrell, who, after last week's violent finale, is more concerned than ever to preserve magic's reputation as "respectable." Poor Childermass is not so worried. In fact, he's quickly coming to the conclusion that real magic is not respectable at all, but dangerous and very much out of Norrell's control. 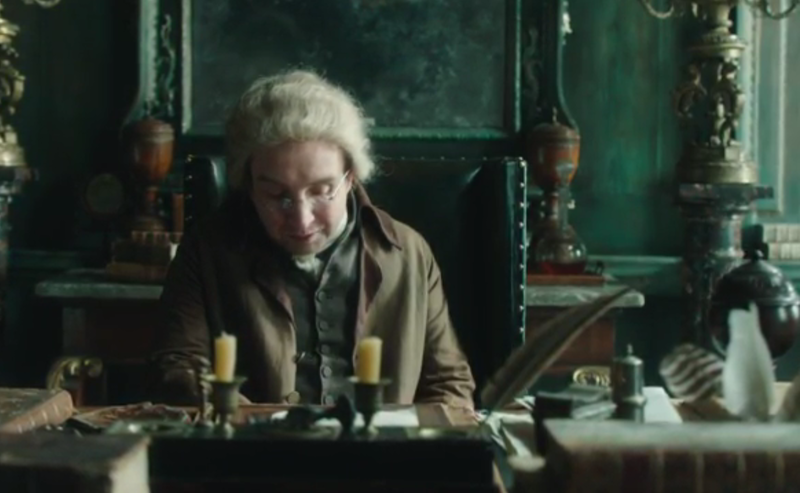 Jonathan Strange, fresh from the fury of war, has a third opinion. Magic is dangerous, yes, but of what use is it- or any field of practice - if there is no room for experimentation, for daring? On the other hand, Lady Pole is a living breathing example of daring gone wrong. Afraid of scandal, Norrell has her bundled off to Segundus-and-Honeyfoot's erstwhile school of magic, now a makeshift mad-house. This means there's now no chance that she can tell the truth about her predicament, and there is real poignancy as the door is closed on her unheeded screams. But perhaps there is hope. After Childermass - doing a bit of detective work - is turned away by Honeyfoot (now that was a fun scene), Segundus begins to detect the aura of magic around both Lady Pole and Stephen Black. Could he discover the answer? Meanwhile, Strange and Norrell are having very little success with the king. It doesn't take long for Norrell to give up. 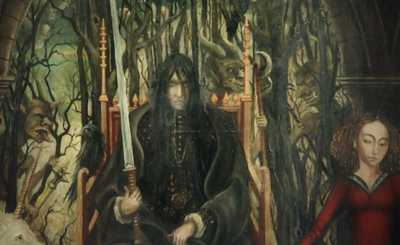 As they leave the palace, Strange notices a picture of John Uskglass, the Raven King. Norrell scorns Uskglass, but the war has taught Strange to think independently, and he wonders if Uskglass's magic is so perilous after all. With that thought in mind, he visits the king alone, and accidentally renders a mirror permeable, allowing crazy George to pass through onto a Northern road in the middle of nowhere. It's an incredibly clever combination of three different storylines (combining several scenes from the book), as Strange discovers the mirror-world, the Gentleman discovers Strange, and we're reminded of Stephen's "destiny" to become king of England, when the Gentleman makes him an unwilling would-be regicide. Thinking fast, Strange cobbles together some experimental magic and spirits the Archtreasurer and Prince-elector of the Holy Roman Empire (O the possible alternatives, when one is reviewing a show with a king as a character) back into the room, just in time to thwart his murder. Armed with his new knowledge, Strange attempts to replicate the Duke of Brunswick and Lüneburg's (see? this is fun!) passage through the mirror, but is only successful when an odd pair of northerners put him to the test. They claim to have been tutored via post by none other than Strange himself. Having never met Strange, they refuse to believe his true identity until he proves it by walking through a mirror. He comes out in a bizarre, stormy alternate reality, criss-crossed by black roads, each of them leading to another mirror. Fortuitously, he finds his way directly to Christopher Drawlight, who, it turns out, has been swindling half of England, claiming to give them exclusive access to Strange's tutelage. It may be the most humorous part of the episode when Strange chases Drawlight downstairs (well, right after "I could only find walnuts"). Less amusing is Arabella's response. She's worried that her husband's arrogance may lead him into foolishness, and tells him so in no uncertain terms. Ironically, she's now on Norrell's side, because he has no use whatsoever for magic roads or hidden worlds. The combination of this and Strange's scathing review of Lascelles' Norrell hagiography has at last driven a wedge between the two magicians. 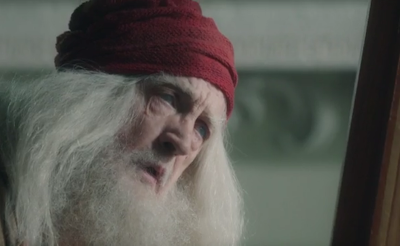 In a poignant final scene, Norrell(!) is the one who tries to repair the relationship, but it is too late. Strange departs. "There can only be one magician in England," Norrell tells Lascelles sadly. "We must now consider him our enemy." Back in fairyland, the Gentleman is putting the finishing touches on his evil plans to abduct Arabella. Arabella herself only enjoys a few moments of peace, when Jonathan tells her he has decided to abandon practical magic, before they are informed of Napoleon's escape. Just when he thought he was out, the war pulls him back in (get it? get it?). 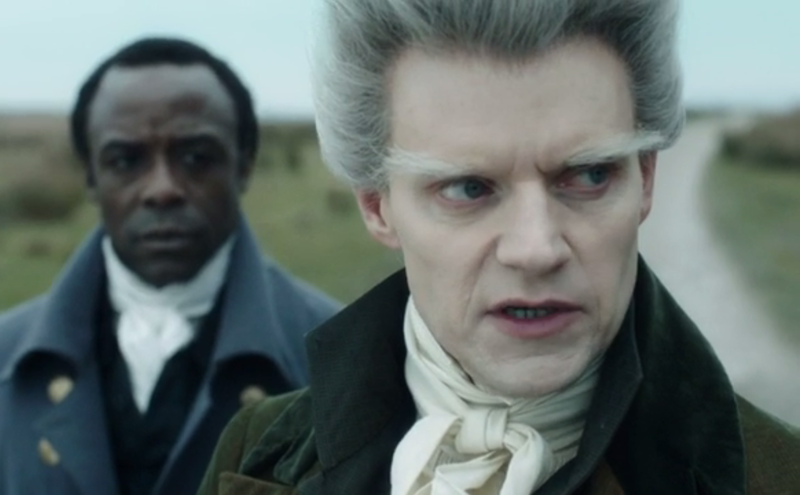 This episode was a return to domestic affairs, and felt a bit slow after last week's excitement, but it charged through a solid chunk of plot, and admirably balanced hurried exposition with quietude (Norrell and Strange's parting was very well handled), and leavened the whole thing with a healthy dose of dry humor. I often start in on an episode ambivalent, distracted by Monday's schoolwork, but by the end, I'm always drawn into its world. And that's the mark of a fine drama. Did you notice (and I'm sure you did with your keen eye) that Lady Pole was able to talk about Lost Hope in the Segundus and Honeyfoot's asylum without falling into gibberish? Childermass seemed to pick up on it. Will this be the key in defeating The Gentleman? Could this be because The Gentleman has lost interest in Lady Pole now that his eye is on Arabella? And speaking of eyes, did you see the nictitating membranes on the log frog doppelganger of Arabella? Such attention to detail! Marvelous show. Actually, I didn't notice that. Already knowing the story means I don't focus quite as much on the small details. I do think that Segundus may - despite being a comic character so far - be crucial to that. Other minor characters to keep an eye on: Lascelles and Drawlight. And nictitating membranes? Last week it was Thackeran japeries...I must keep a dictionary on hand for your marvelous comments. Lascelles and Drawlight? I would have never figured them to be important for anything good. I would have had them riding sand horses in the charge against Napoleon and our cause would have been lost! Poor Arabella!